What is fasting? What is the purpose of fasting? Before we move to the topic of fasting, how are you doing so far in applying the practices of meditation and prayer? One problem you might face is finding time for consistent prayer and meditation. Meditating on the fly and praying at all times doesn’t seem to be enough. Something has to move aside. The concept of fasting challenges us to reach toward a higher level of commitment. It asks us to be willing to give up not just the extras but for a season, the essentials, in order to center fully and only on our relationship with God. Have you ever fasted before? What did you gain from it? How was it helpful in your spiritual walk with Christ? Some people advocate that we try other kinds of “fasts.” Giving up something – like no chocolate or going on a Facebook fast. What is the value of this? How would this be different than going without food? What is the difference between giving up food for a day and giving up something we enjoy like Facebook or chocolate? Is fasting required of the Christian? Read Matthew 6:16-18 – What instructions did Jesus give regarding fasting? What was Jesus’ warning? Read Matthew 9:14-17 – What is Jesus getting at? A constant theme of Jesus’ earthly ministry was that of the inner attitude. How would Jesus’ emphasis on our inner motivation impact the outward practice of fasting? How were the Jews treating the practice of fasting? God seems to be concerned about motivation and attitude in the Old Testament as well. Read Isaiah 58:1-9 – What is God more concerned about than the ritual of fasting? 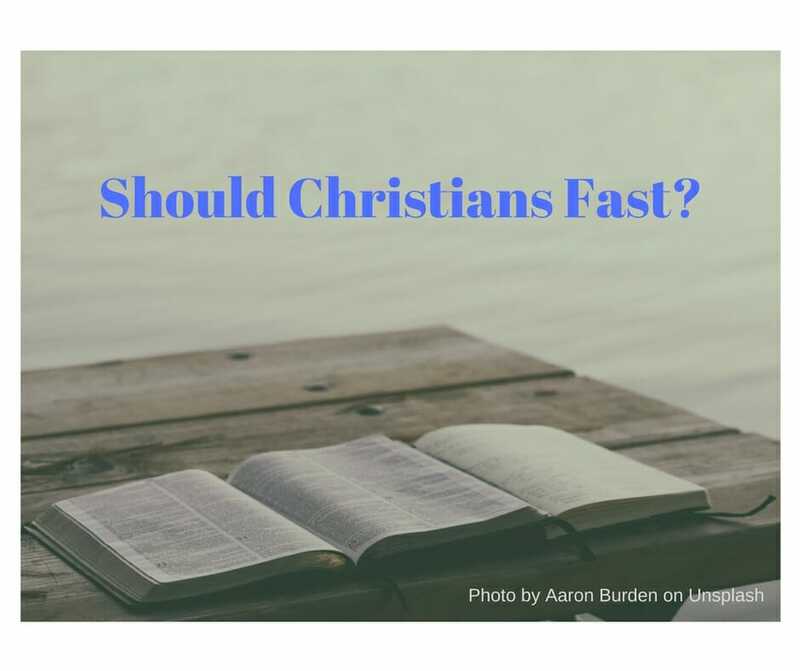 Read these Scriptures about times Bible characters fasted. What else did they do besides fast? Would fasting work for me? Fasting seems to be coupled with prayer at a time when we approach the Lord about an urgent, desperate or important need. What kind of situation would cause you to want to fast and pray? From what we’ve studied, what would be some important considerations to keep in mind if you did choose to fast? What practical advice would you give to first time participants? How long of a fast? Are we talking about absolutely no food? No water? What beverages? Keep in mind – the purpose of fasting is to abstain from food for spiritual purposes. Fasting teaches us about self-control. “Fasting reveals the things that control us,” says Richard Foster. Self-control is a fruit of the Spirit. If I am able to give up a meal, perhaps I can learn to give up other things I think I have to have. Perhaps the practice of fasting would help us identify and overcome any addictive behaviors we might have. Fasting frees us to think about God. Our affluent society is obsessed with food. Think about all the time we spend thinking about food, planning our next meal, preparing it, paying for it, and cleaning up after it. Sometimes my husband has asked at lunch, “What are you thinking about?” I will answer. “What to fix for supper!” Read John 6:27. Jesus is teaching the hard lesson that believing in Jesus and seeking after Him is even more important than our next meal. Fasting teaches us contentment. Read Philippians 4:12. We learn we can get along without certain things and if we don’t have something, we’re still going to be all right. Fasting builds trust in God. Despite what some might think, Jesus is not advocating fasting for health reasons. Going without food is not physically healthy. When we fast, we are trusting God to sustain us rather than trusting on food to sustain. Fasting is a type of sacrifice. Can you add to my list? What other spiritual benefits come from fasting? Answer this: What thing in life would be difficult for you to give up? What activity consumes your time? TV? Coffee? A computer game? Thoughts about food or your next meal? Perhaps that is the thing you need to “fast.” As you fast, journal the struggle that you have and what you learn from the struggle. Don’t just give something up! Replace it with the spiritual as Isaiah 58 teaches us. Use the time it would take to shop, prepare, eat, and clean up after a meal or to play that computer game to pray, read God’s Word, reach out to the needy and oppressed, or engage and encourage a fellow-believer in Christ. Be intentional. Plan for the fast. If you don’t make a premeditated commitment, it will be easy to give in and then Satan will gain a foothold. Ask others to fast with you or share with one friend that you are doing this so they can pray for you to stay strong. Foster says: “Fasting is not an obligation but an opportunity.” Do you agree? How would giving up something for a season be an opportunity to build your relationship with the Lord?